Fish Tree Yoga always has special guests throughout the year who will bring powerful yoga sessions or training seminars to our home right here at Fish Tree Yoga. It’s a very comfortable setting and we always strive to bring in the top talent from around the country and even the globe. The best way to get instant updates is to connect with us on Facebook so that you don’t miss out on that next great featured event here at Fish Tree Yoga. Feel free to give us a call too if you want to learn more. 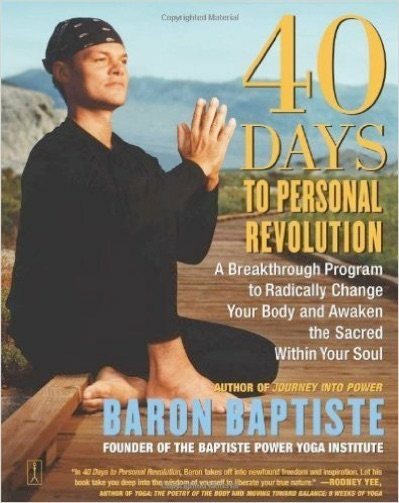 This program is based on Baron Baptiste’s best selling book. The program’s purpose is to guide you on your own personal transformation whether you are a beginner or experienced student. With applying Baron’s 12 Laws of Transformation you will see a natural reaction to the process with benefits that will make you less reactive and more calm, reduce stress, develop a positive attitude, get in better shape, drop bad habits and lose weight if necessary. This transformation happens when you stop and focus your mind; align it to the process becoming a more beautiful person on the inside and out.